Strengthens the results of peelings and lasers. 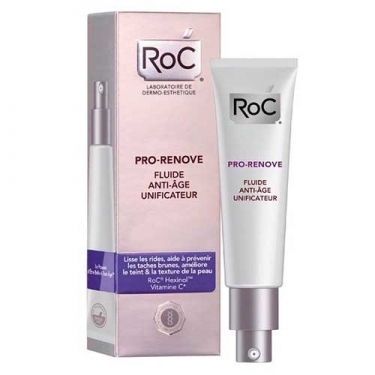 DESCRIPTION: Pro-Renove Anti-Ageing Unifying Fluid from RoC is a light fluid that helps to improve skin's complexion and texture while preventing dark spots and fighting wrinkles. Moisturizes and evenens the complexion. Fights the main signs of aging at the source. Mutes and prevents the appearance of dark spots. Strengthens the results of peelings and lasers. Ideal for mature, normal to combined skin. 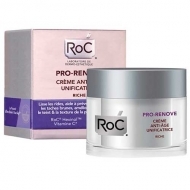 Dermatological care, with active molecules (Hexinol) and vitamin C for a moisturizing, anti-aging, anti-stain, uniformising and illuminating action.